The outside of Spartan Stadium's big screen. Athletic department operations are separate from the university, officials say. As tuition costs continue to rise annually, officials at universities with large athletic programs often are criticized for spending on sports programs. The stereotype held by some, including MSU senior Shiya Liu, is that the university must use tuition dollars to support the athletics budget. “We have a lot of athletic teams other than football, basketball and ice hockey,” said Shiyu Liu, who has been a football season ticket holder for three consecutive years. “Those revenue sports couldn’t make enough money to cover not only themselves but also tons of other teams like tennis, volleyball, baseball, track and field, gymnastics. Not necessarily. MSU officials say the athletic department’s general operations are independent and self-supporting. Trophies are displayed in the Skandalaris Football Center Exhibition Gallery. The 25,000-square-foot Skandalaris Football Center houses team, staff and position meeting rooms, coaches' offices. MSU alumni Robert and Julie Skandalaris donated $5 million as the lead gift for the $12.5 million project. Spartan Stadium is home to Michigan State University's football team. The university's athletic department said it has to financially stand on its own. Fans watch the men's basketball team at the Breslin Center at Michigan State University. The building was built in part with students fees, but general athletic operations are self-supported, officials say. Listen MSU economics professor Ronald Fisher said majority of NCAA schools have to rely on the general fund from the university and this has become a trend in the world of college sports. The MSU athletics department makes revenue from three main sources: media and TV contracts, ticket sales, and donations. MSU does not collect any student fees to subsidize general athletic operations (although the Breslin Center was built and renovated, in part, using students fees). MSU Executive Associate Athletic Director Paul Schager said the athletic department on its own and there are years with deficits and profits. 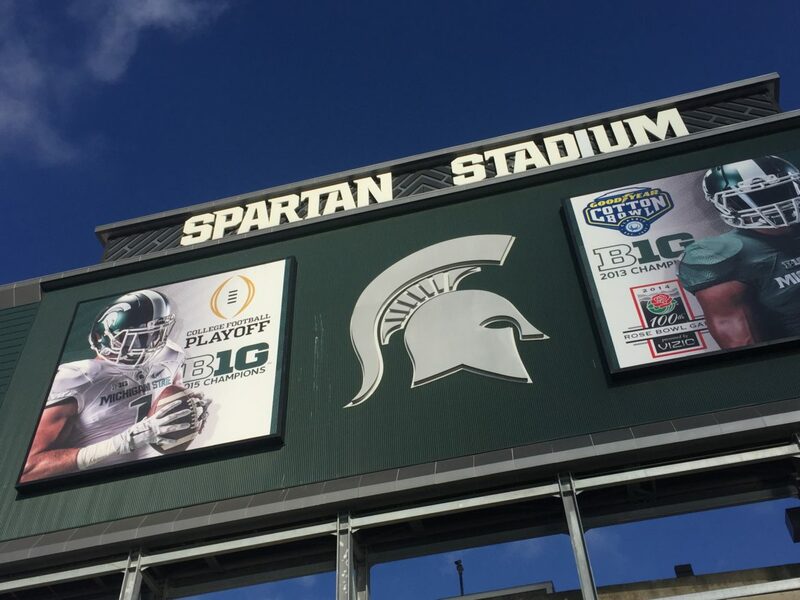 Major revenue sources include licensing and merchandise, the Big Ten conference’s TV contract, conference revenue sharing, fundraising, ticket sales, and sponsorships. The athletic department’s Schager said officials are trying to be transparent about how the department is funded, and to build partnerships throughout the university.